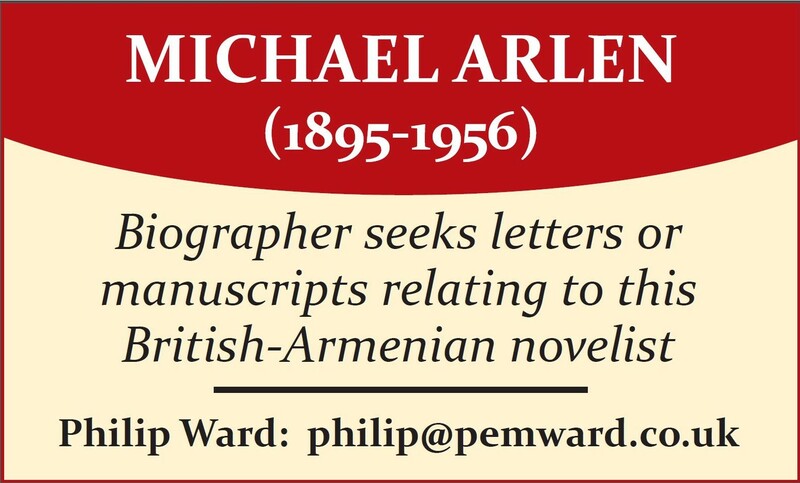 ISBN 978-0-9570489-3-5 Softcover. 138 pp. “King Crimson is a way of doing things,” says Robert Fripp, the enigmatic founder and powerhouse behind the band in all its many incarnations. For forty years since it emerged, fully formed, as the originator of ‘progressive rock’, Crimson has been “doing things”, fusing jazz, rock, classical and folk with a healthy dose of ‘alternative’ philosophy and whatever else takes Fripp’s fancy at the time. He gathers like-minded, high-calibre musicians, gives them a reading-list (according to drummer Bill Bruford) and, together, they explore. Crimson is a way of life for its followers, too, none of them more zealous than Andrew Keeling, musicologist and composer. After writing guides to three of the early albums, he now surveys their entire output up to 1984, taking in also Fripp’s solo projects and collaborations. I desperately wanted to like this book. 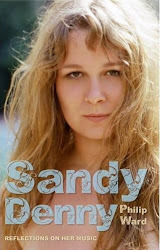 Apart from Sid Smith’s band biography, there is little good critical discussion of their work. But I found Keeling’s approach frustrating. I’m unclear who he is writing for. 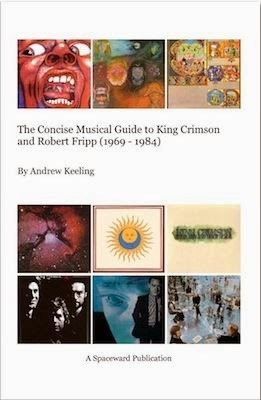 Commissioned by Fripp himself, the book mixes personal anecdote with generalisations about the era and about the relationship of Crimson’s music to that era; added to that is a deal of technical musical analysis which may deter potential readers and often seems disconnected from the function of interpretation which it should serve. Essentially, the author expects us to know stuff already. He’s not big on explanation. In The Court Of The Crimson King “unlocks the entire semiology of the counter-culture”. How? Is ‘Ladies Of The Road’ misogynistic or not? I was none the wiser at the end of a paragraph about ‘political correctness’ and the ‘nanny state’. Carping aside, I learned things here: the reasons for the band’s initial break-up in 1974; the influence of World Music on Discipline (1981). But overall, I fear, Fripp’s resistance to explaining himself has rubbed off on his interpreter.